Job seekers will often ask a former manager, colleague, or teacher to write them a letter of reference for employment. 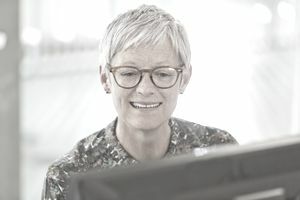 Some employers require references when considering candidates for a position, while others may give preference to potential employees who can provide this evidence of satisfactory performance in a previous role. If you are asked to write a reference letter, keep in mind that your goal is to prove that the person is a strong candidate for the job. Simply expressing your admiration won’t be enough; the letter should focus on specific examples that show that the employee is a high performer. The letter should also be professional in appearance, and be written in the business format and edited well. To learn more about how to write a reference letter for employment, see the tips and sample reference letter below. Use business letter format. Follow business letter format for your letter. Include your contact information, the date, and the employer’s contact information. Address the job to the employer, or, if you don’t know to whom to address the letter, you can say “To Whom it May Concern,” or simply begin with your first paragraph. Focus on the job description. Ask for a copy of the job description from the person you’re recommending. This way, you can focus on the specific requirements of the position. Try to include keywords from the job description in your letter. Even if you are writing a more general recommendation, you can still ask the employee about the types of jobs they will be applying for. Include specific examples. In the cover letter, provide specific examples of times in which the employee demonstrated various traits or skills required for the job. If possible, use numbers to quantify their successes. For example, you might explain how much money the person made for your company, or how many customers the person interacted with on a daily basis. Remain positive. State that you think this person is a strong candidate. You might say something like “I recommend this person without reservation,” or “I would hire this person again if I could.” Remember, you want to help this candidate stand out. Share your contact information. Provide a way for the employer to contact you if they have further questions. Include your email address, telephone number, or both in the letter. It is a good idea to review letter of recommendation samples and letter of recommendation templates before writing your letter. Examples can help you see what kind of content you should include in your document, while templates can help you get a sense of the best layout and what sections to use (such as introductions and body paragraphs). When formatting your recommendation letter, use single-spaced type with a space between each paragraph. Align your text to the left, and use 1-inch margins all around. Choose a traditional font such as Times New Roman or Arial. Shoot for at least a page in length; if your letter is too short, it will look like you don’t know enough about the candidate to make a recommendation. While examples, templates, and guidelines are a great starting point to your letter, you should always tailor a letter example to fit the candidate’s work history and the job for which he or she is applying. This is a reference letter for employment example. Download the reference letter for employment template (compatible with Google Docs and Word Online) or see below for more examples. I would like to recommend Sharon Doe as a candidate for a position with your organization. In her position as Staff Assistant, Sharon was employed in our office from 2022-2022. Sharon did an excellent job in this position and was an asset to our organization during her tenure with the office. She has excellent written and verbal communication skills is extremely organized, can work independently, and is able to follow through to ensure that the job gets done. During her tenure with our company, Sharon was responsible for supervising the department office assistants. These assistants, under Sharon's management, were responsible for many of the office's basic administrative and clerical functions. She would add value to any company, and I recommend her for any endeavor she chooses to pursue. Please let me know if you have any other questions.